It’s that time of year! 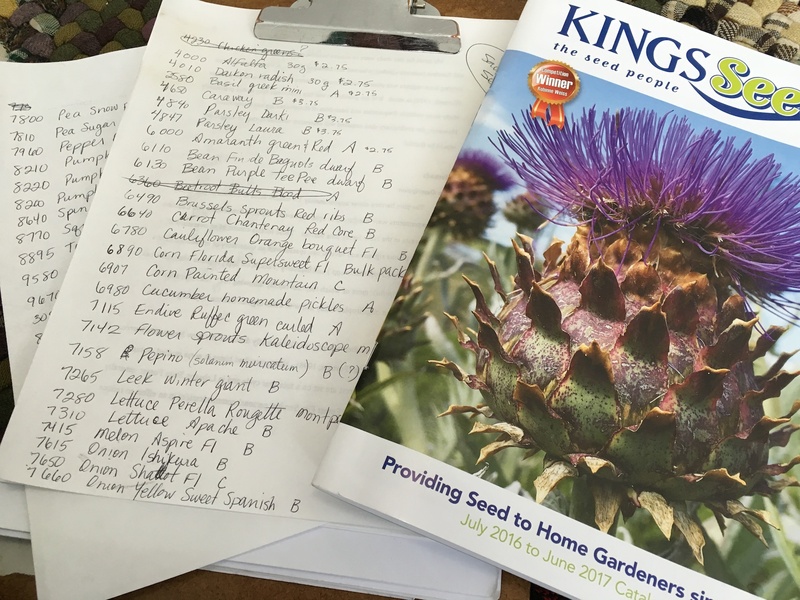 The seed catalogue is here, and I’m dreaming of melons, tomatoes and corn. The garden is all about possibilities at this time of year. How about an orange sweet pepper? My favourite squash isn’t available anymore? Well, maybe we’ll get Jade F1 instead? And maybe an Australian Butter pumpkin, just for something different. Endive. Definitely endive this year. And I’m sure I can squeeze in this Greek mini basil along with the other three varieties. It’s mini, right? So many plants, so little garden space…I’m sure that long about October, I’ll wonder what I was thinking back in July when I bought all these seeds. But I also know I’ll fit them in somehow. July is the month for dreaming big.